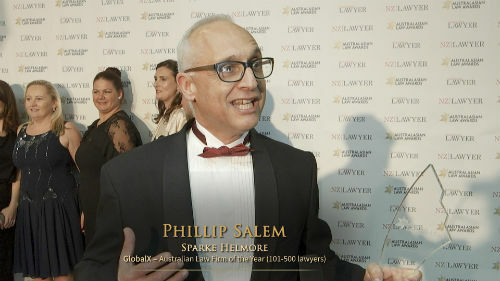 Though Singapore’s newly enacted law that allows for third-party litigation funding is expected to boost the country’s profile as a global disputes resolution hub, the development does not necessarily hurt Australia’s own market, a top lawyer said. Earlier this month, Singapore’s Parliament passed amendments to the country’s Civil Law Act, allowing third-party litigation funding in international arbitration and related procedures in the jurisdiction. “The new laws make it clear that litigation funding is permissible, which gives certainty to funders that they can operate in Singapore. This allows parties with meritorious cases, but not the financial resources, to enforce their legal rights when they were previously not able to do so,” Wei Chern Tham, director at Duane Morris & Selvam in Singapore, told Australasian Lawyer. “These are exciting developments for the legal industry in Singapore, and are a significant step in developing Singapore as a jurisdiction of choice for international commercial arbitrations,” he said. The new developments are seen to help Singapore cement its place as an international disputes resolution centre and will likely increase caseload in the country in the coming years, Tham said. “I think Singapore’s dispute resolution space is going to be a lot more vibrant with these developments. We will probably initially see more parties willing to bring international commercial arbitrations in Singapore,” he said. Tham also sees more law firms and litigation funders setting up offices in Singapore in anticipation of the increase in international commercial arbitration. The broad legal amendments are expected to be followed by more precise regulatory laws currently in draft. But Singapore’s new laws will not necessarily hurt Australia’s market, Tham said. “Singapore is among the few jurisdictions that currently expressly allow litigation funding, and as such, the new laws put it in a more competitive position vis-a-vis other jurisdictions,” he said. “While there may be some disputes that will come to Singapore that might previously have been arbitrated in other jurisdictions, my view is that it is not a zero-sum game, and in the long run, the changes will expand the market for everyone,” he added. Duane Morris & Selvam is a joint law venture between American BigLaw Duane Morris and Singapore-headquartered firm Selvam.